This is a small bleeder kit designed to be light and small, but still offering the ability to carry lifesaving equipment. 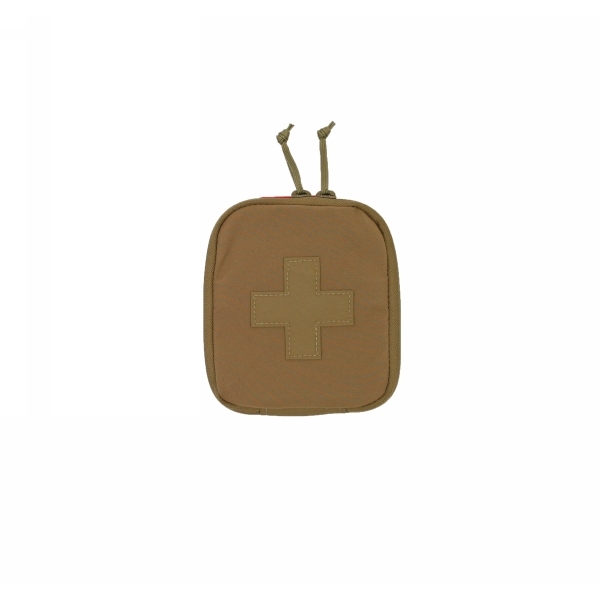 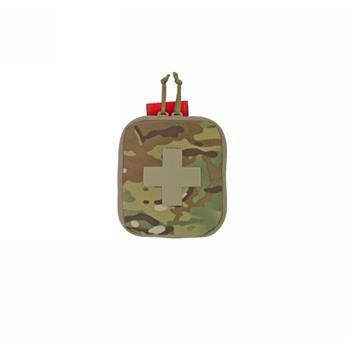 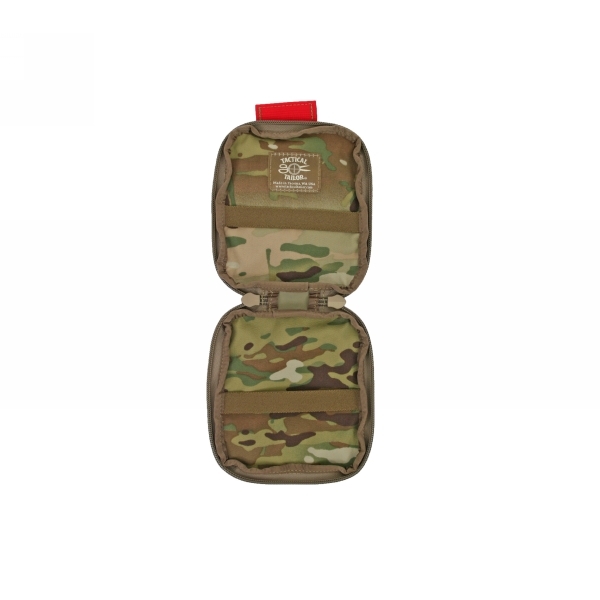 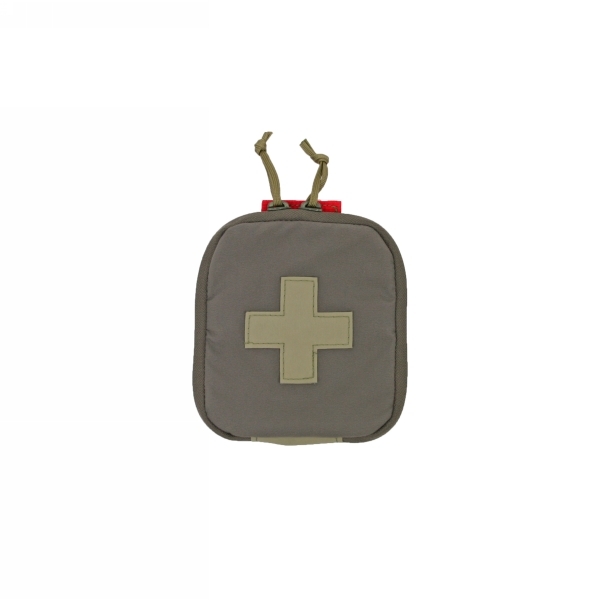 This pouch is sized to hold basic wound management items like gauze, 10-gauge needle, chest seal, and a small combat dressing. 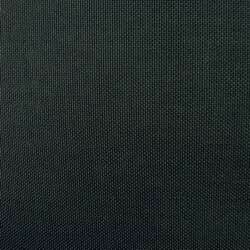 •	Constructed with stretchy tweave. 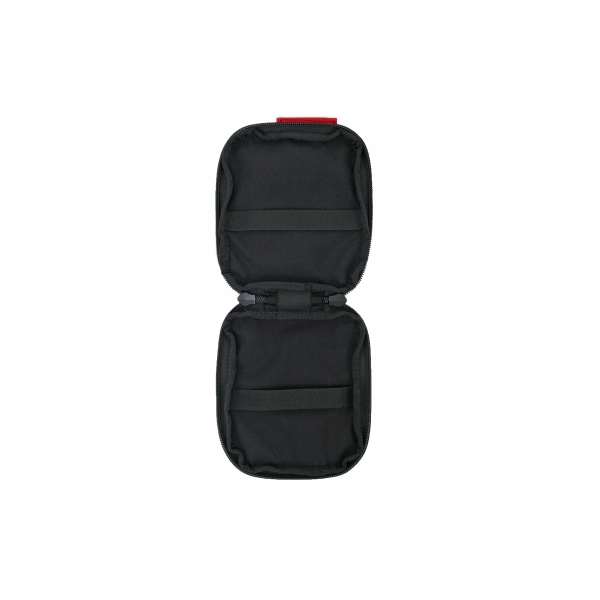 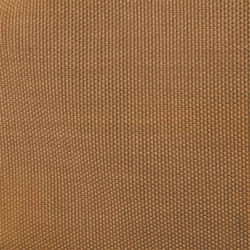 •	Clamshell style with elastic retention on the inside. 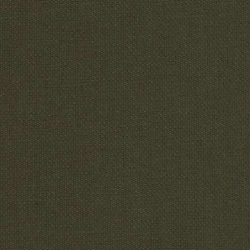 •	Subdued cross on the outside. 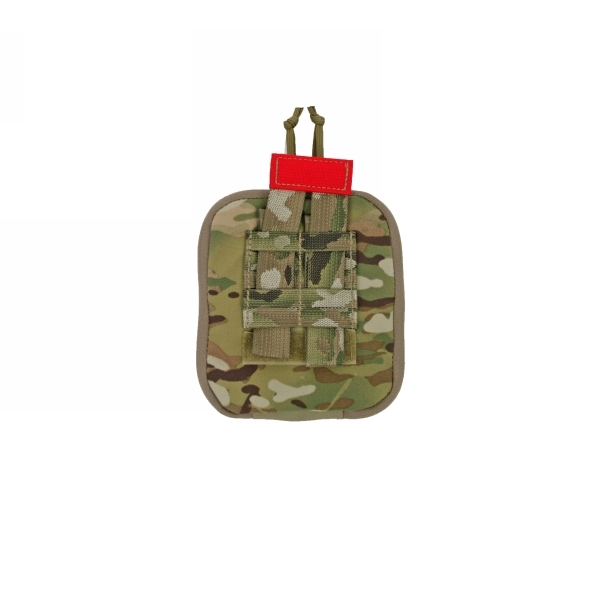 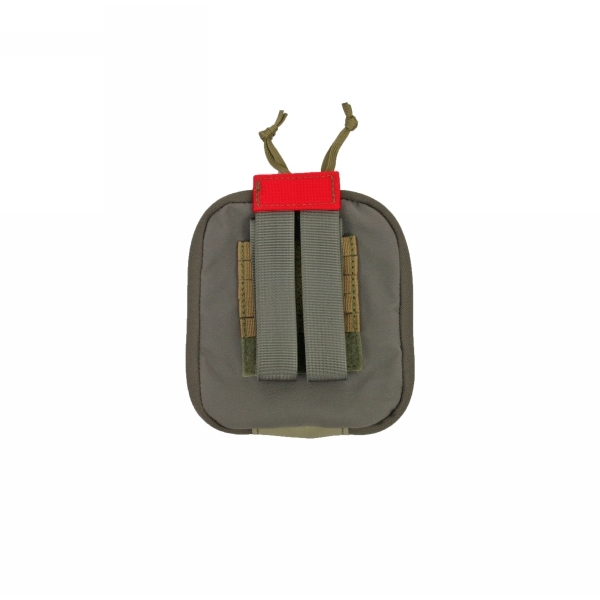 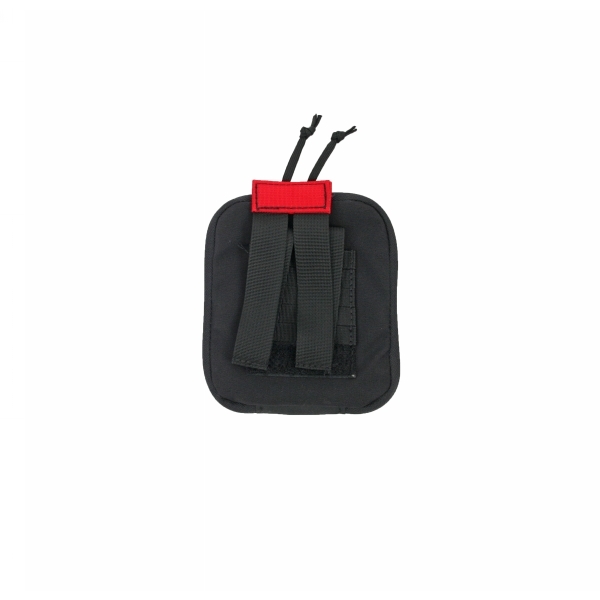 •	Uniquely designed pull tab system allows the user to weave the pouch onto MOLLE, but can quickly pull the pouch off using one hand. 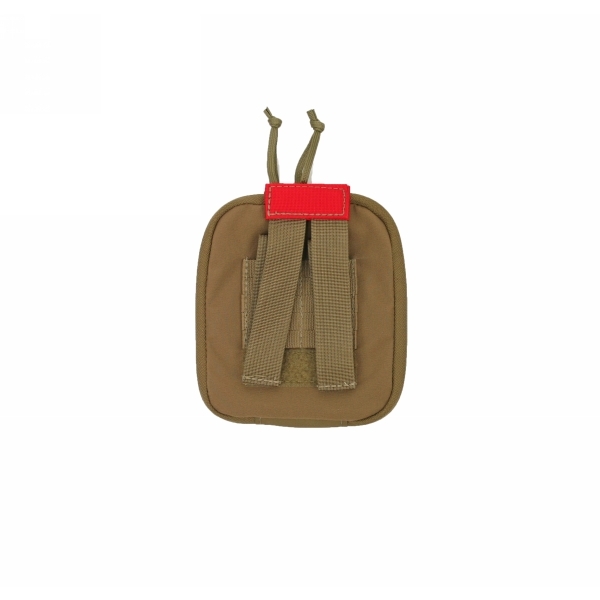 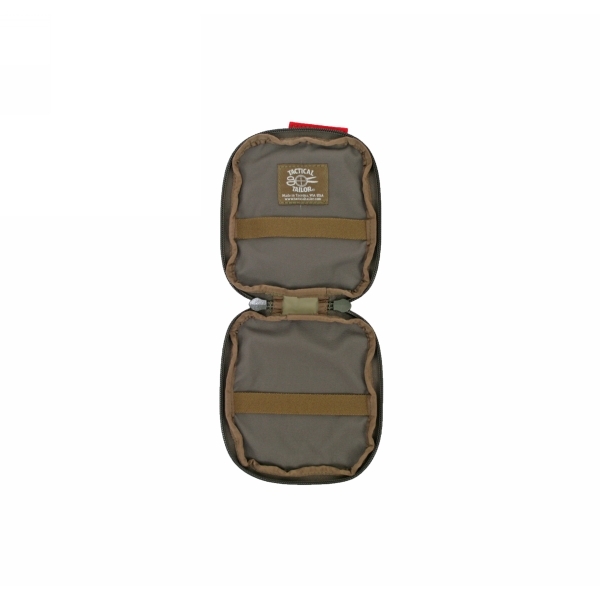 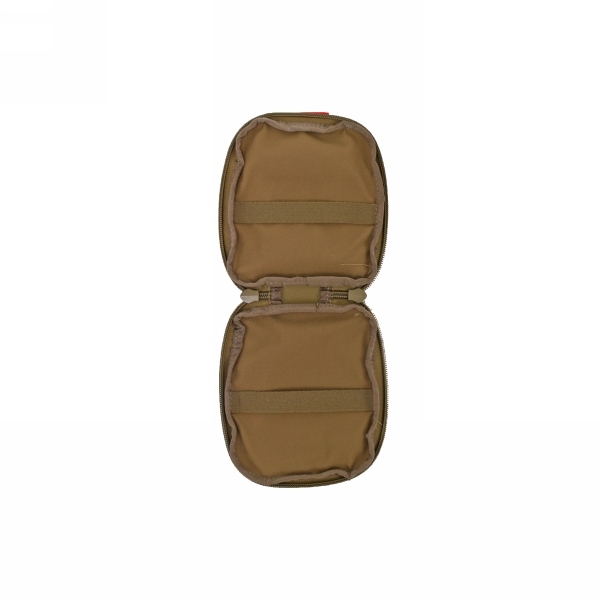 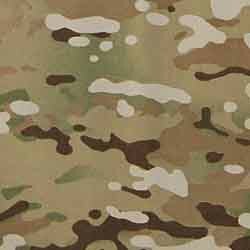 •	Uses ½ inch webbing on the back to allow the pouch to be woven onto smaller combat belts that do not support the traditional 1X1 inch MOLLE system, but can still be woven on traditional MOLLE systems.